When a senior is diagnosed with Alzheimer’s disease or a related form of dementia, it can have a devastating impact on their entire family. From worries about safety to witnessing the decline of a cherished loved one, Alzheimer’s is a difficult disease to manage. While families often try to keep a senior at home, the time often comes when it is no longer possible to do so. 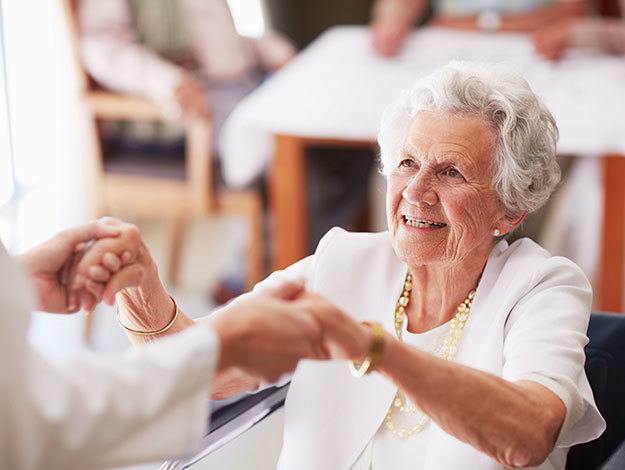 Behaviors commonly associated with the disease, such as wandering and agitation, are often what prompt families to call a senior living community for help. Randall Residence offers a comprehensive Memory Care program for people with Alzheimer’s and dementia in Ohio, Illinois and Michigan. The mission of our program is to meet the unique needs of individuals with memory loss and to allow them to live a richer, fuller life despite their disease. In the early stages of Alzheimer’s or dementia, an older adult may be able to function fairly independently. As the disease progresses, however, the ability to perform daily tasks dwindles. Judgment is often impacted --- putting the senior at higher risk for a variety of problems ranging from identity theft to wandering away from home. Our Memory Care program provides the stability of a structured daily routine that people with Alzheimer’s need to feel successful. This environment allows them to live with as much independence and autonomy as is safely possible. Dedicated life enrichment activities are scheduled throughout the day. Each of which is thoughtfully designed to soothe agitation, promote happiness and encourage independence. The best way to learn more about Memory Care at Randall Residence is to schedule a private tour. The Alzheimer’s caregivers at your local community will show you how we enable each of our residents to live their best life!